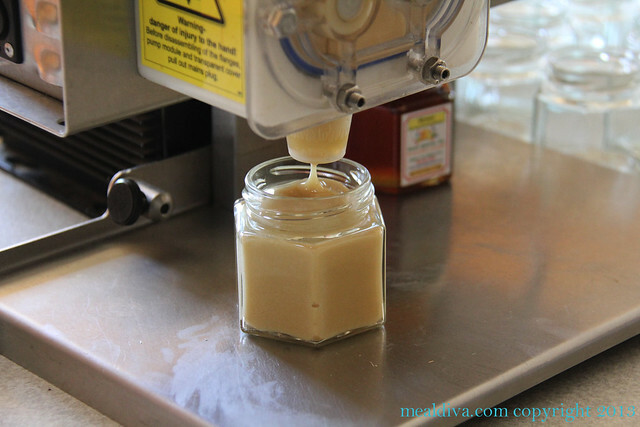 Unpasteurized, local honey is a must try! It’s honey in the raw that has not been heated or filtered. Instead, it’s simply strained to remove debris before bottling. So where do you get real, 100% authentic, local, New Jersey honey? Over the summer, I visited Hunterdon Land Trust’s Farmer’s Market and purchased honey from a local supplier, Tassot Apiaries, Inc. The honey had a different taste than the honey I usually purchase at my local farm stand. Then, Audrey Gambino from Villa Milagro confirmed that Tassot Apiaries has the “best, purest honey around.” I contacted Jean-Claude of Tassot Apiaries to find out about his honey. He invited me down for a visit and showed me that local honey is a great gift from nature. 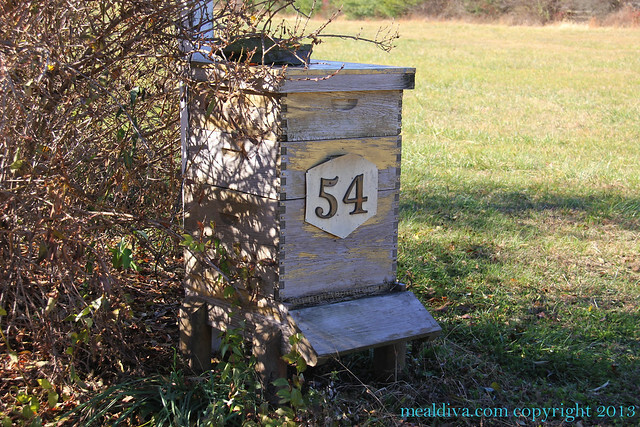 Tassot Apiaries is a place for bees and beehives, located in Milford. I met with owner/beehive manager/maker/honey expert Jean-Claude. Jean-Claude grew up in France working on his uncle’s beekeeping farm and I must say, I love his French accent. 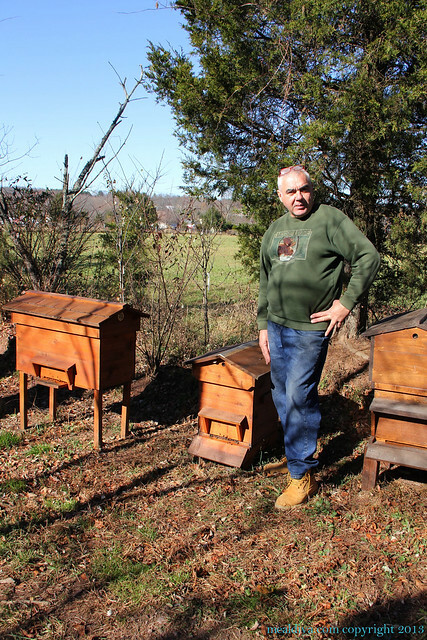 He moved here with his wife and opened their family-run honey business. They specialize in “raw, chemical free, high quality honey and bee products” and love to “show [their] passion for beekeeping with others in a true community spirit.” He was happy to give me a tour and teach me about bees, honey, beeswax care and harvesting. 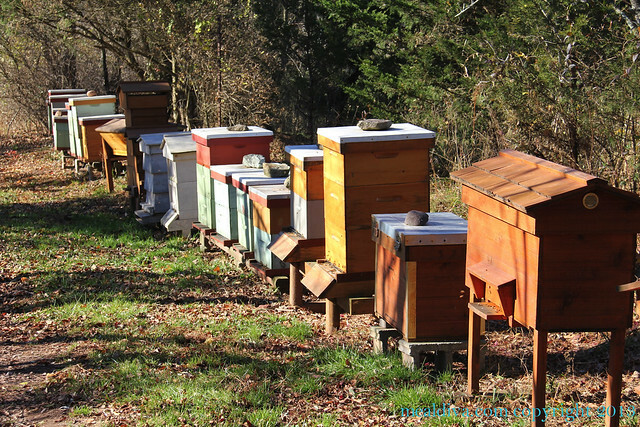 Most of Tassot Apiaries’ beehives are scattered among local farms and the farmers are happy to have the bees pollinate their crops, so it’s truly a win-win! Jean-Claude also has some on his property from Europe and they are enchanting, classy, colossal and beautiful. To start, we talked about beehives and how bees make honey and beeswax. 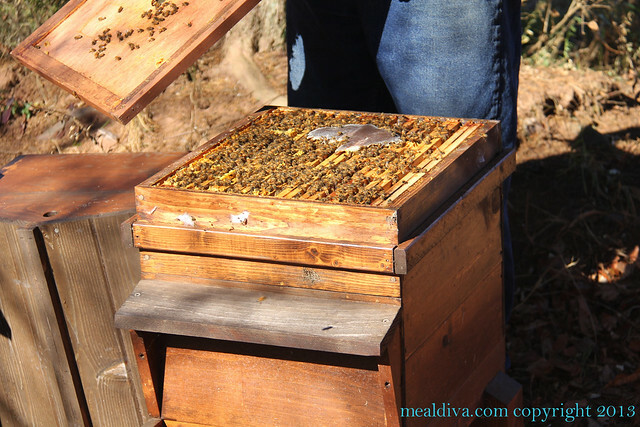 The hive has a body—usually it’s the bottom of the box—which serves as the brood chamber. Here is where the queen (there is only one per colony) lays her eggs and where workers, lots of females, will raise the brood and keep the food supply for winter. Here is also where the hundreds of fertile males and drones are hatched. Each colony has approximately 60,000 bees. 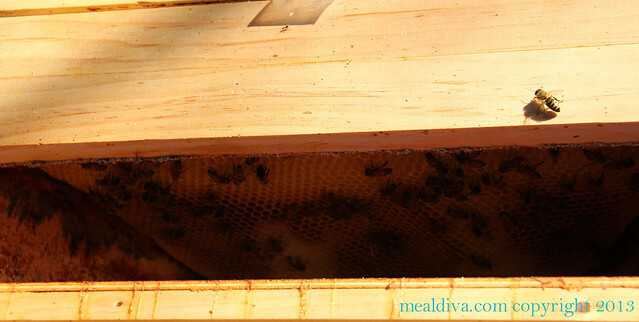 Above the brood chamber is the second box, called a “super” and here is where the honey for harvesting is located. So how do they get the nectar from the flower to the hive? The scout bees fly off to find the nearest source of nectar and return to the hive to communicate this to the foraging bees. Their method of communication is to “dance.” The foragers then fly off and collect the nectar and bring it back to the hive. The nectar is then handed off to a worker bee who helps turn it into honey and then “caps” the cells with beeswax to keep the moisture out. The honey is finally ready to be collected. Once the honey box is collected, it is brought back to Jean-Claude’s home and the extracting begins. First, each panel is “uncapped” then hung in an extractor (a stainless steel container that spins at high speed, forcing the honey to separate and come out the bottom). It’s then left to settle and, finally, bottled. Jean-Claude makes sure that his honey is pure and he never mixes batches. His honey is as close as you can get to the stuff in the hive. In addition, he makes beeswax products like candles and soap—nothing is wasted. Jean-Claude takes great pride in all of his products and there are no exceptions. 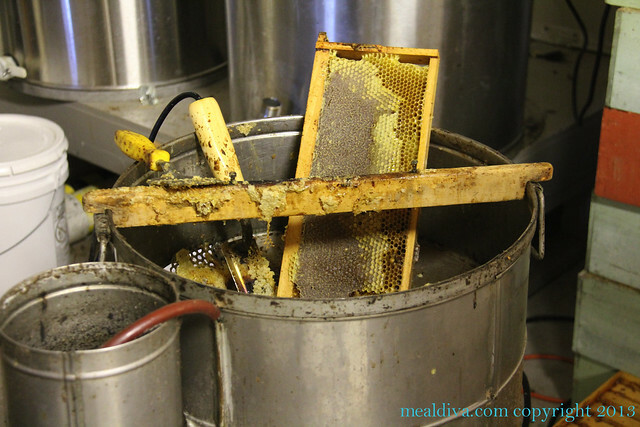 You will not taste honey like this anywhere… And that’s how you know it’s local! In addition, honey is very different from man-made table sugar. It has at least 165 identifiable components from amino acids, enzymes, vitamins, and minerals and many types of natural sugar. The exact makeup varies as different bees collect different nectar from different plants. For example, Tassot Apiaries makes Buckwheat and Blueberry Honey. Can you guess where the nectar came from? 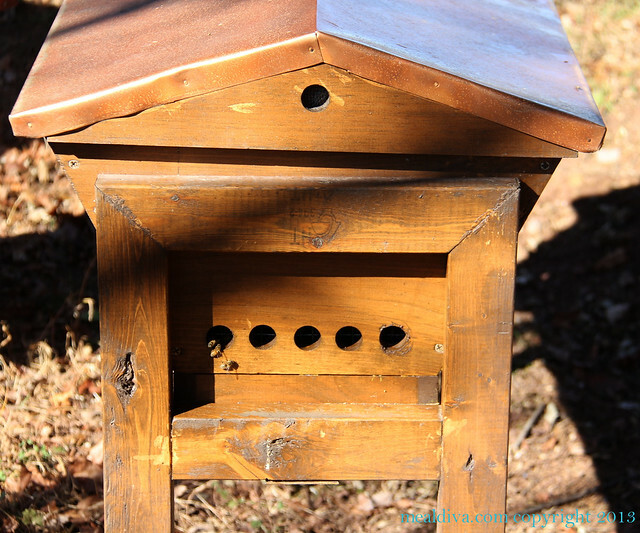 To find out, hop online and check out http://www.tassotapiaries.com or go visit Jean-Claude and Tassot Apiaries, Inc. in person. This 100% authentic New Jersey honey is beautiful, gourmet and delicious! Honey in glass jars: It’s beautiful, wildflower honey. Whipped honey: Perfect to spread on toast or drizzle over yogurt and granola. Honey with almonds and walnuts: Recommended as an ice cream topping. -In 400 BC, Greek athletes were given honey to help them perform better. -Egyptians used honey to embalm cuts to prevent them from getting infected.